Welcome to Bob's Electronics, which provides discounted sales and service of all major brands of commercial two-way radios and accessories. Some of our most popular brands include Motorola, Relm, Kenwood, Icom, Vertex, and Maxon radio equipment. 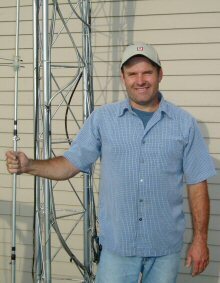 We serve a wide market of customers throughout the Midwest, including school districts, fire departments, the agricultural community, and amateur ham operators. We maintain a full service department complete with testing equipment to accommodate all repairs. We offer competitive pricing and a flat rate exchange program. We also provide commercial two-way radio licensing services to ensure that our customers maintain a current and accurate radio license. Please contact us with questions or concerns. We appreciate your business. 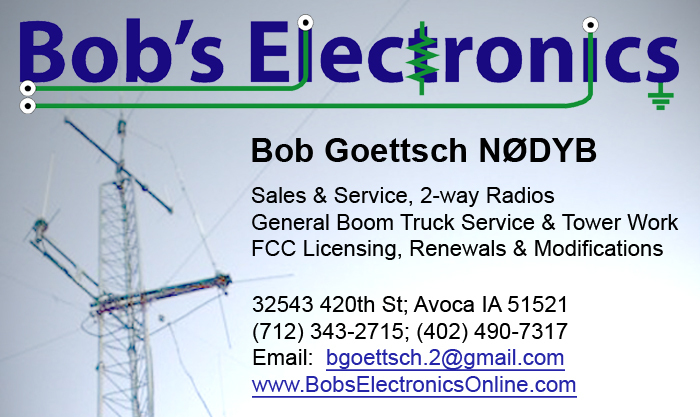 Click here to view Bob's business card.